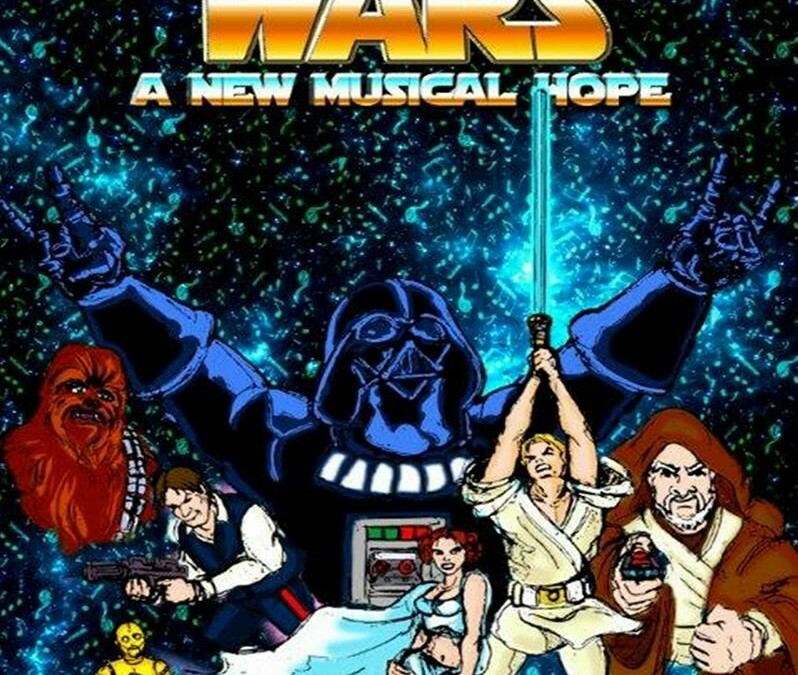 Not so long ago, in a theater five minutes away, the first production of Star Wars: a New Musical Hope made its debut into the Wilmington theater scene. 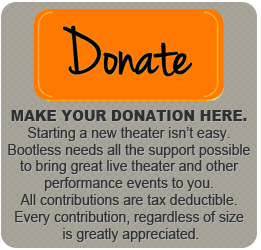 The galaxy might have relocated to St. Stephen’s Lutheran Church, but the family friendly thrills and spills of the first go-around of the unofficial-parody musical have only grown to Jabba the Hut like proportions since its premiere in 2012. Returning this time around are Shaun Yates and Ryan Mulholland in their roles of Obi-wan Kenobi and Han Solo. The familiar characters get a wacky spin for the satirical performance. Fans of the Star Wars trilogy needn’t look too far for their favorite characters: Luke, Leia, Vader, and the whole motley crew are present in all their musical glory. Those new to the production can look forward to hearing the iconic lines popularized by the original films, as well as the original narrative they fell in love with. But, that’s where the similarities end. 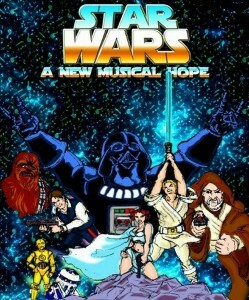 Star Wars: a New Musical Hope is a comedy event appropriate for all ages (despite Obi-wan being “fast and loose”). Stay post show for photo opportunities with the cast, crew, and droids. There are six chances to see this intergalactic performance, so don’t miss it before it disappears into a galaxy far, far away. Know Your Actors — Are you a Jedi or a Sith? Yates: I’m still waiting for my application to the Jedi academy. Muholland: I’m a Jedi for sure. In real life, I teach basic skills classes to elementary school children and am an educational counselor… so, I guess you could say I spend my days teaching kids to use the force. The show runs approximately 2 hours with a 15 minute intermission.